This literally is a tool-watch. 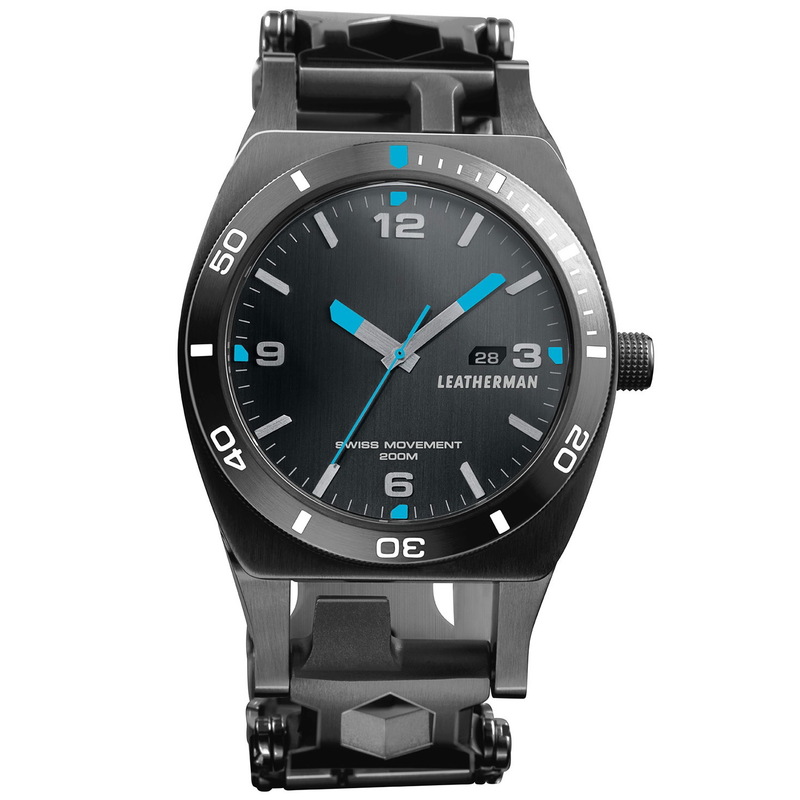 The Leatherman Tread Tempo has a selection of tiny tools neatly hidden in the links of its Stainless steel bracelet. A box-cutter, a detachable screwdriver tucked away in its case-back and a carbide tip for breaking glass are among the 30 tools that are included with the watch. 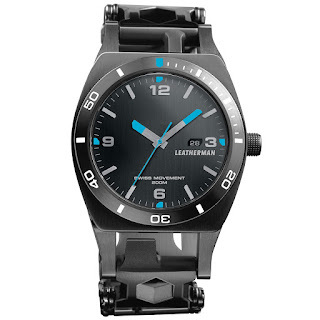 The Stainless-steel watch is also equipped with a diver’s bezel and a Swiss Ronda 715 quartz movement. It has 200 meters of water-resistance. It is available in either plain brushed steel or black coated steel. MSRP is 450USD. If you were wondering what the FAA would have to say about such a watch? Apparently the Tread Tempo is travel friendly and TSA-approved, which means it can be taken into an airport and on board a commercial flight.